What’s your Saturday night shaping up to look like? If it’s anything like mine, you’re already anticipating tasty ice cream, thirst quenching beer AND an amazing (FREE) live concert at Full Tilt Ice Cream in Columbia City. Tomorrow night, at 9PM join Northwest Folklife and Full Tilt Ice Cream as they present two truly spectacular local bands that are sure to knock your socks off! The evening starts with The Horde and The Harem at 9 PM followed by Ravenna Woods at 10 PM. Both of these bands are on the rise, so take advantage of tomorrow night and check them out…I know I will! Also, not only can you enjoy a great concert but by endulging in the Clusters of Folk ice cream, you’re also helping to support the production of the 2011 Northwest Folklife Festival, May 27-30, 2011. 10% of the Clusters of Folk ice cream sales come back to Folklife. Hurry because the special run of Clusters of Folk ends November 16! To further sweeten the deal (as if you neede another reason to attend), Full Tilt recently won best ice cream shop in Western Washington. If you don’t believe me, try it tomorrow night and you’ll experience first hand how they received the honor! Good Times with More to Come! Last Thursday, Northwest Folklife and Hale’s Ales kicked-off the first of four Northwest Brews & Blues events. 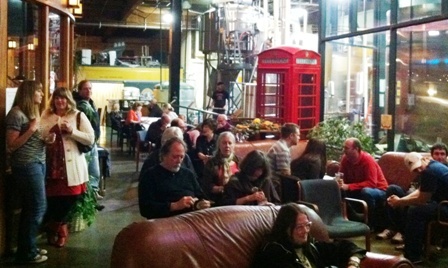 People came out from all over Seattle to enjoy local beer and live music. Don’t worry if you missed it, because the fun continues every Thursday in October! This week, Northwest Brews & Blues, from 6:30-8:30 features Cort Armstrong with some Chicken Pickin’ blues. And remember, 50% of all O’Briens Harvest Ale sold during Brews & Blues benefits Folklife— cheers! After reviewing the O’Brien’s Harvest Ale (purely for professional purposes…of course), we gave it two thumbs up! This seasonal amber ale combines a boatload of delicious hops with a malty backbone that quenches any beer lover’s thirst. In other festivities Northwest Folklife also celebrated the release of our ice cream, Clusters of Folk, at Full Tilt Ice Cream in White Center. The Not-its! played an awesome show that had all the kids rocking out. Afterwards, Caulfield and his Magical Violin kept the party going with lively beats. Clusters of Folk ice cream is another fall specialty not-to-be missed. The creamy blend of horchata ice cream with chocolate dipped granola chunks can make anyone’s mouth water. Try it today at any of the Full tilt ice cream locations until November 16. Don’t forget 10% of all Clusters of Folk ice cream sales benefits Folklife. Tags: Caulfield and his Magical Violin, Clusters of Folk, Cort Armstrong, Full Tilt Ice Cream, Hale's Ales, Northwest Brews & Blues, The Jelly Rollers, The Not-Its! Comments: Comments Off on Good Times with More to Come! This fall, Northwest Folklife brings you a cool series of programs to usher in autumn. 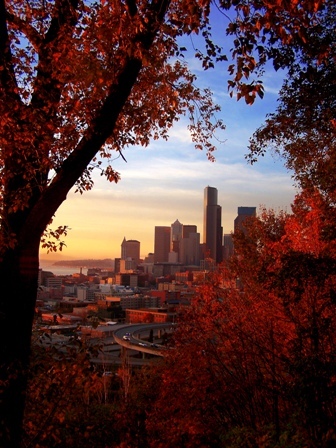 Grab a beer every Thursday in October at Hale’s Ales in Fremont and listen to some blues, or swing over to the Tractor Tavern in Ballard for the Roots & Branches Vol. 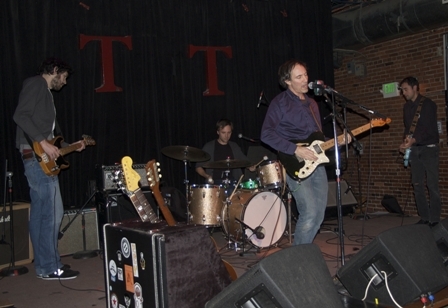 2: Live From the 2010 Festival CD release party. Whatever suits your fancy, Folklife has your fall filled with festive events! Proceeds raised from many of these events go to support Northwest Folklife’s year round programming. Oct. 7, 6:30 -8:30 p.m. Listen to The Jelly Rollers’ blues and enjoy Hale’s Ales seasonal brew! Half of the sales from O’Brien’s Harvest Seasonal Ale benefit Folklife. Oct. 9, 12 -2 p.m. The poll is closed, the votes are tallied and the people have spoken. Northwest Folklife is proud to present Clusters of Folk as the 2010 Folklife flavor. Join us at Full Tilt Ice Cream in White Center for the release party, featuring The Not-Its! and Caulfield and his Magical Violin. A portion of the Clusters of Folk ice cream sales benefit Folklife. Oct. 14, 6:30 -8:30 p.m.
For the second show in the four-part series, join us for a performance by Cort Armstrong. Half of the sales from O’Brien’s Harvest Seasonal Ale benefit Folklife. Northwest fiddling by Stuart Williams with Charlie Beck on guitar and banjo; calling and clogging by Charmaine Slaven. Family Days, at the EMP| SFM, is the third Saturday of every month. Free! Listen to the bluesy sound of Eric “2 Scoops” Moore. Half of the sales from O’Brien’s Harvest Seasonal Ale benefit Folklife. Join us at the Tractor Tavern for the release of the newest Roots & Branches Vol. 2: Live From the 2010 Festival CD release party. At the CD Release part, listen to live music by Cliff Perry & Laurel Bliss, The Raggedy Anns, and Noah Gundersen & the Courage— all featured on the CD! At the last in the Northwest Brews and Blues at Hale’s Ales series, enjoy Shiftless Layabout perform their big band, blues music. Half of the sales from the O’Brien’s Harvest Ale sales benefits Folklife. Nov. 6, 9 -11 p.m. Munch on Clusters of Folk ice cream while enjoying live music at Full Tilt in Columbia City. The evening starts with Ravenna Woods at 9 p.m. followed by The Horde and The Harem at 10 p.m. Also, don’t forget 10% of the Folklife ice cream sales benefit Folklife—dish up!